Add warmth to your home with the soft glow of this Americana inspired indoor or outdoor flushmount light. Inspired by traditional Mission Arts and Crafts styles, this flushmount ceiling light is a beautiful addition to an indoor or outdoor space. This classic design consists of a straight-lined frame with a lovely architectural look. A walnut bronze finish adds a handsome touch, while textured frosted cream glass panels provide a warm and welcoming glow. 15" wide x 7 1/2" high. Weighs 10.34 lbs. 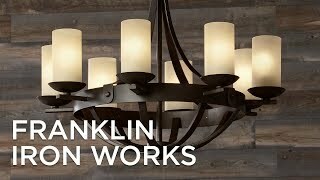 Flushmount rustic farmhouse ceiling light from the Hickory Point collection by Franklin Iron Works™. Walnut bronze finish over steel construction. Frosted cream glass panels. 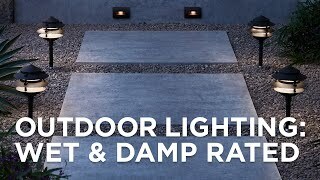 For outdoor use, rated for damp locations only, such as covered porches and patios. Just loved the look. We wanted to update a plain little front porch in our downsize home. I think this will do it beautifully. It's the right size and has a finish that doesn't look fake. I like the rustic mission design! Perfect for our home. Looks great in pic. We're redoing our master bath in the mission style. 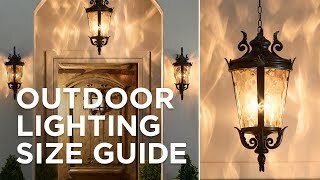 This light looks perfect and the details indicate it is well made. I look forward to receiving it. It is perfect for my back door and looks to be of high quality. are hickory point bronze fixtures available with clear seeded glass? BEST ANSWER: Hi - Clear seedy glass is not an available option offered. how do you open this light fixture to put the bulb in? It looks like you do not know how to put a bulb in this light either. BEST ANSWER: Hi, to change the bulb you need to remove the bottom glass cage. The cage is held by the center finial. Remove the finial to release the cage. Is the glass off white or yellowish? BEST ANSWER: The glass provides a more yellowish cast to the light. We used LED light bulbs in the 3500K color range to help achieve this softer light. 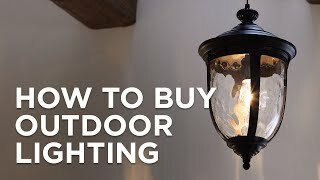 If you want a brighter cooler light use a LED 5000K bulb. Can you mount this directly into plywood or does it have to have a mud ring in a box electrical box? 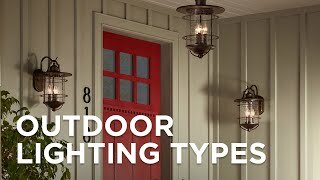 BEST ANSWER: This fixture can be mounted into / onto a 3/4" plywood panel with a typical electrical box; although I preferred a 2" x 12" for the open framed screened porch application. The interior fixtures were affixed to a finished plaster ceiling, again with a typical electrical work / outlet type box. Customer Service at Lamps Plus was amazing and very helpful. We are returning this item for a similar design by a different manufacturer. Very good quality and design. Excellent order and delivery. Products were delivered on time in good condition, except for one broken glass panel which was replaced very quickly. Great service and very personable representatives. Quality experience. 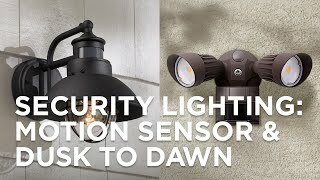 Highly recommend Lamps Plus. This is a very nice light-it is bigger than we thought and we loved that. The description says cream frosted glass- the glass is really more of a seedy amber or yellow. 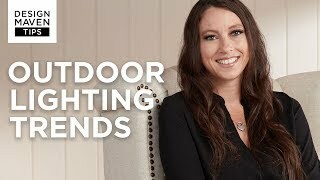 This bronze outdoor ceiling light will add a charmingly old-fashioned glow to any location.